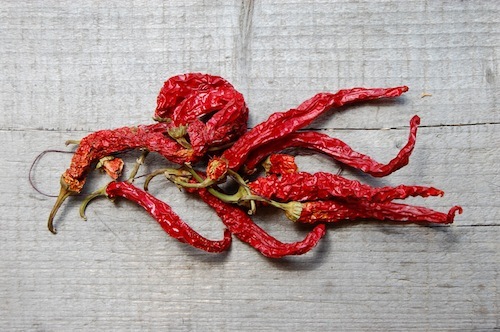 Did you ever notice you eat less when a meal is hot, spicy, and laced with chili peppers? Did you think the desire to stop eating sooner than might be expected was because your taste buds were burned out and nothing tasted right anymore? A new study confirms that, yes, it’s the chilies’ fault but it’s not because of the blazing taste buds. It’s a gut reaction. Associate professor Amanda Page led the study from the University of Adelaide’s School of Medicine in Australia. Dr. Stephen Kentish, a member of Page’s research team, expects the study’s findings to lead to further study in the hope of finding a new treatment for obesity. The researchers used lab mice to explore how hot chili peppers melt away the pounds and they were surprised by the results. It was believed the transient receptor potential (TRP) channels in the digestive system play a role and one TRP channel in particular keeps the appetite in check. The TRPV1 channel is associated with processing foods that cause sickness or pain. The pain caused by capsaicin, the chemical compound in chili peppers that causes the pain, was thought to be a key issue in appetite suppression but capsaicin works on TRPV1 receptors differently. During a meal, enough food collects in the stomach to cause it to swell. This swelling activates TRPV1 receptors in the stomach lining that, in turn, activates nerves in the stomach to send signals of fullness to the brain and the rest of the body. This stomach-to-brain nerve signal is how we know we’ve had enough to eat. Once the brain gets the message, appetite diminishes, we feel full, and quit eating. The capsaicin in hot chili peppers causes the TRPV1 receptors in the stomach lining to signal the feeling of fullness sooner than it would if there were no hot, spicy foods on the menu. The burned-out taste buds don’t quench the desire for more food, the gut reaction between capsaicin and TRPV1 receptors does the trick by making us feel fuller faster. When the researchers blocked the TRPV1 receptors in the stomach lining, the brain did not get the signal that the stomach was full. There was no appetite suppression and the mice continued to eat alarming amounts of food. Too much fat in the diet is a leading cause of obesity. A high-fat diet interferes with the ability of the TRPV1 receptors to signal the brain that the stomach is full. With further study, it may be possible someday to use capsaicin to overcome the dulling of the TRPV1 receptors caused by a high-fat diet and harness the heat of hot chili peppers as a weight-loss treatment. Kentish says, “It’s exciting that we now know more about the TRPV1 receptor pathway and that the consumption of capsaicin may be able to prevent overeating through an action on nerves in the stomach.” He’s hoping further study will reveal ways to use capsaicin to “reverse the damage” caused by too much fat in the diet. "Hot chilli may unlock a new treatment for obesity." The University of Adelaide News & Events. The University of Adelaide, 19 Aug. 2015. Web. 27 Aug. 2015. Kentish, Stephen J., et al. "TRPV1 Channels and Gastric Vagal Afferent Signalling in Lean and High Fat Diet Induced Obese Mice." PLOS | One. PLOS, Aug. 2015. PLOS Journals. Web. 27 Aug. 2015. Next: Celebrate National Grandparents Day!